If you’re ever requiring a light, healthy pudding that you can make with minimal effort, this has to be in the running! ‘Bird of Paradise’ tea has a delicate flavour, with lots of tropical fruit flavours going on too, which makes it perfect to flavour jelly with. 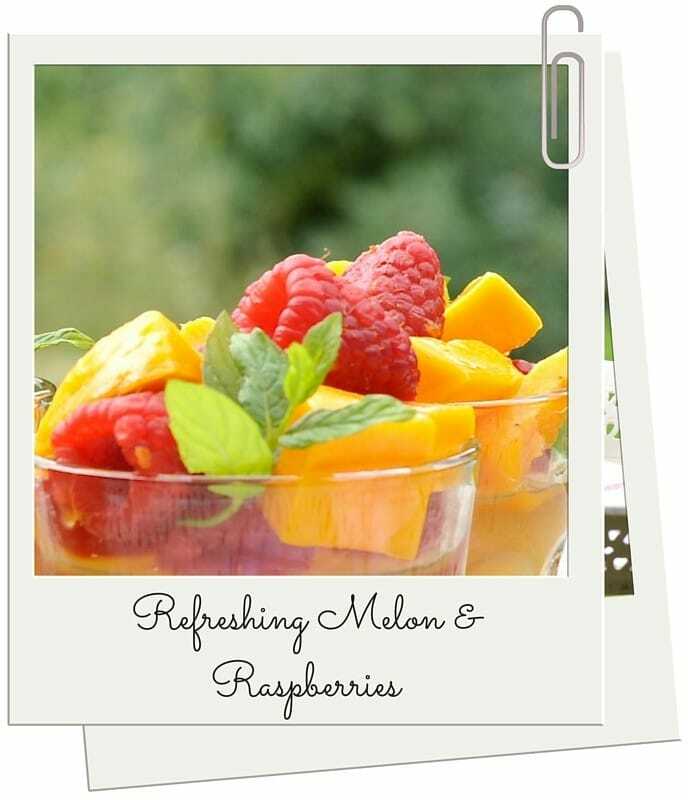 To serve they’re piled high with tropical fruits and lime juice, making it a really refreshing way to end a meal. I’ve used Clearspring agar flakes to make this recipe suitable for vegetarians and vegans, but if you wanted to use regular gelatin instead then feel free to! Just use the amount the packet instructions suggest. Measure the water into a saucepan, and sprinkle the agar flakes over. Bring to the boil, then stir to help dissolve the agar. Once the flakes have disappeared, take the pan off the heat, stir in the agave nectar and add the tea. Let the tea infuse for 3 min, then strain the liquid through a sieve lined with kitchen roll into a clean measuring jug. 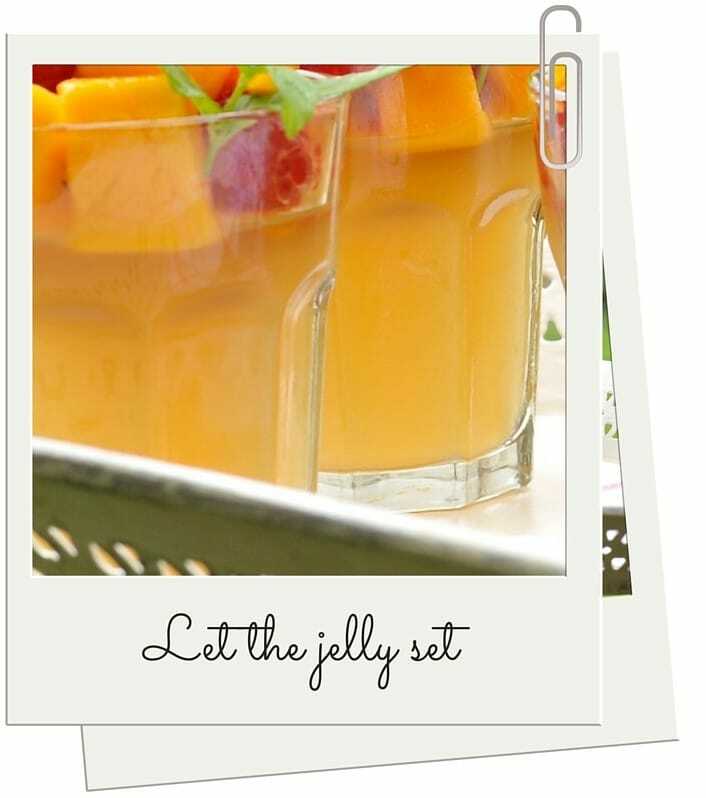 Divide the liquid between 4 small serving glasses, and let it cool before chilling them in the fridge for a few hours. When you’re ready to serve, chop the mangoflesh into cubes and add to a bowl with the raspberries. Squeeze over the juice of ½ a lime and mix well. 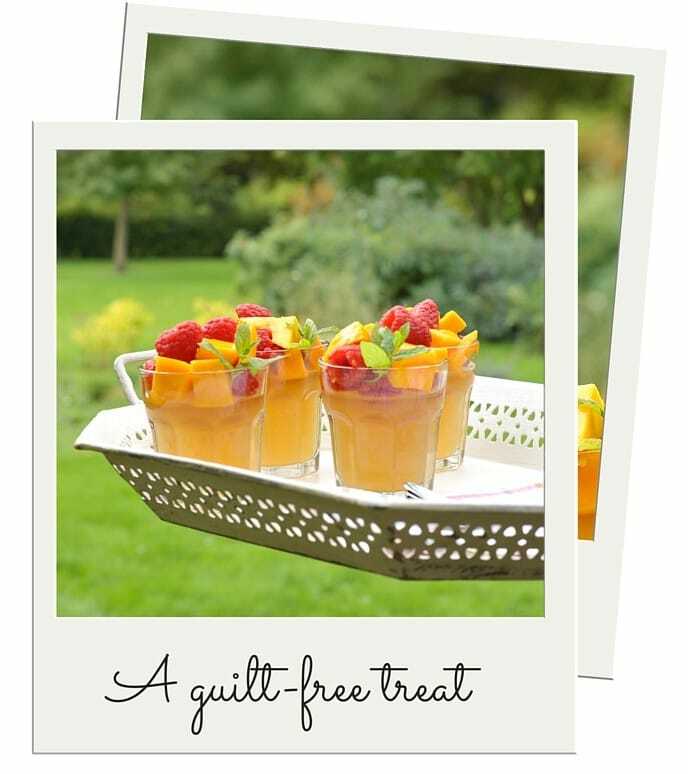 Pile the fruit on top of the jellies, and serve garnished with a sprig of mint.